Bring down all ingredients(4) and reach 20000 points complete the level. This level have little bit hard and same requirement to some previous level. This level board have 78 candy board with 18 grill box that you need to break in start to make board more free to get more chances of striped candy. Then you should try to break candies that are below to the ingredients and try to bring down first onion ingredient fast then second onion ingredient will appear and that will help you to bring it down with remaining moves. You can make some special candies like colorbomb that you could make by combing five same color candies or wrapped candy by making ‘T’ or ‘L’ shape or striped candy by combining four same color candies and try to first combine with each other to break more candies. 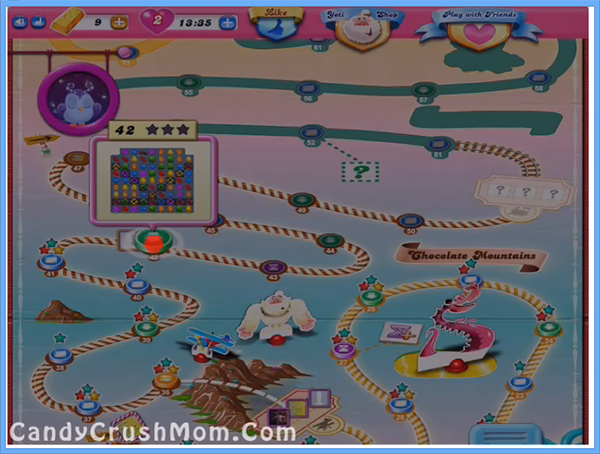 We completed this level with 87880 score by focusing more on special candies and in end remaining moves converted into striped candy that help to get three star points on score board.